Teche Ridge is broadly divided into “Village Center” and “Village General” and “Village Edge” areas. There are more rural neighborhoods in other areas, but all are in close proximity to each other. 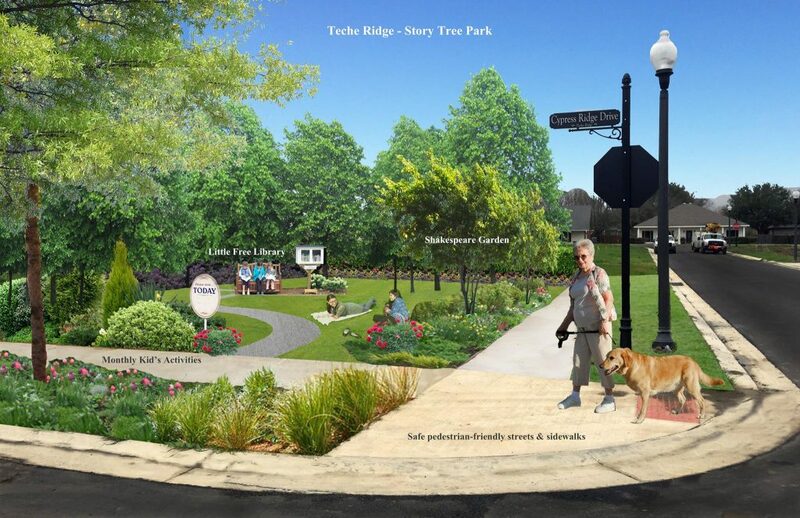 Plazas, public buildings and parks will service social cultural and community-building activities for Teche Ridge and the surrounding community. Parks and green space will be woven within the development. Public spaces are where the community build trusts.